It’s almost October again (How time flies! ), which means that it’s that time of year again where we all get hooked with buying and making costumes for our little ones and joining every Halloween Trick or Treat event in schools, malls, villages, and even barangays! Before all that excitement begins however, let me just share with you a little secret on how you can be a superhero this Halloween, a superhero for those in need that is. Trick or Treat for UNICEF is a Kids Helping Kids campaign that UNICEF has been running globally for over 60 years. To date, it has raised more than $167 million and continues to inspire the young and young at heart to make a difference in the lives of children in the Philippines and all over the world! When I first learned about this campaign last year, I jumped at it. I felt that it was a really good idea. Apart from just asking for treats for themselves during Halloween, the kids can also use this chance to ask for donations to help other kids who are in dire need. Step 1: Visit any Toy Kingdom branch. 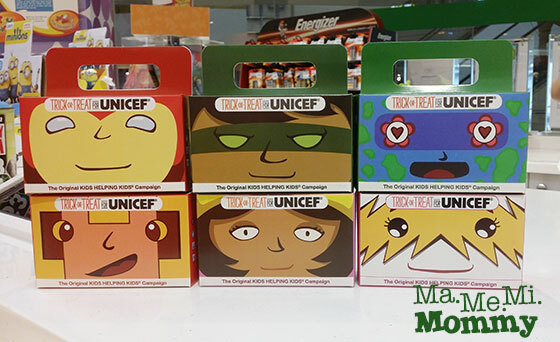 Head to the customer service and tell them that you want to get a Trick or Treat for UNICEF kit. Step 2: Fill out an Activity Consent Form to register and get your FREE kit. You’ll get a mask, a collection box, a badge, and an information sheet. For the collection box, you can choose from these 6 cutie designs! You can also choose a matching mask. Each design represents a superhero, as imaginatively created by kids. 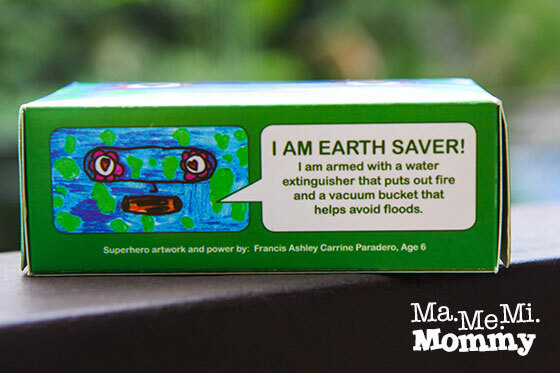 This one is Earth Saver, the artwork and superpowers designed by a 6 year old child. Be sure to cut a hole along on the top part of the box. It comes with dotted lines but I had to cut it manually. Step 3: Put on your favorite costume (or you can just use the mask provided) and do trick or treating as you always do every Halloween but this time, bring along your Trick or Treat Collection Box. 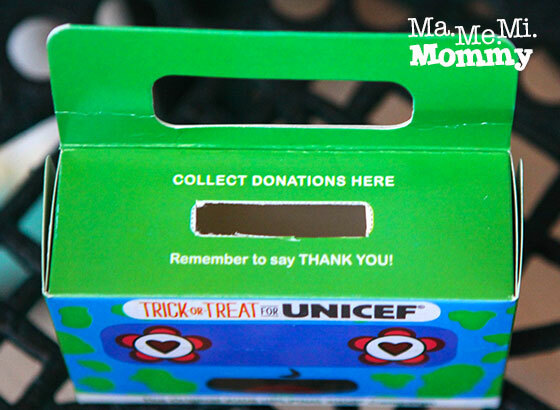 As you hand in your pumpkin basket for treats, extend your Collection Box as well to ask for donations for UNICEF. 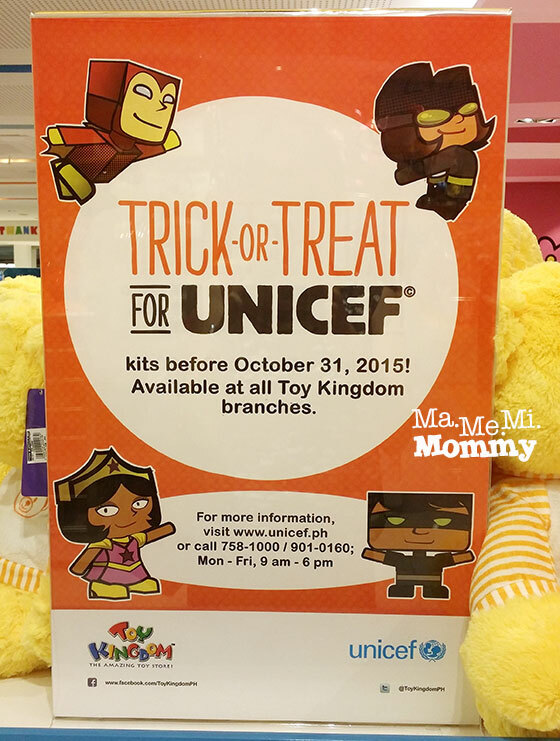 Step 5: Email a scanned copy of your receipt to psfrmanila@unicef.org before November 30 to receive a Trick or Treat for UNICEF Certificate of Appreciation. Oh wow! Thanks for sharing this. It makes Trick or Treating much more meaningful for the kids. 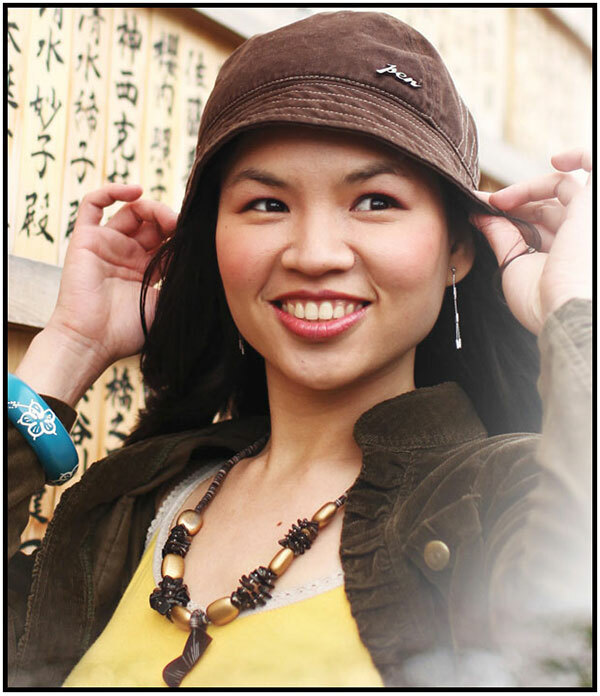 Diba last year din you blogged about this one or something similar. Naku this time I would really get my hands on it! We’ll support this! I heard about it last year; unfortunately, it was already over when I found out. Thanks for the info! This is really cool. I applaud unicef for coming up with this. Will support it. Looks like a very meaningful cause. I hope this event could help a lot of children all over the world. This is a fun and creative way to help those children in need. How nice. 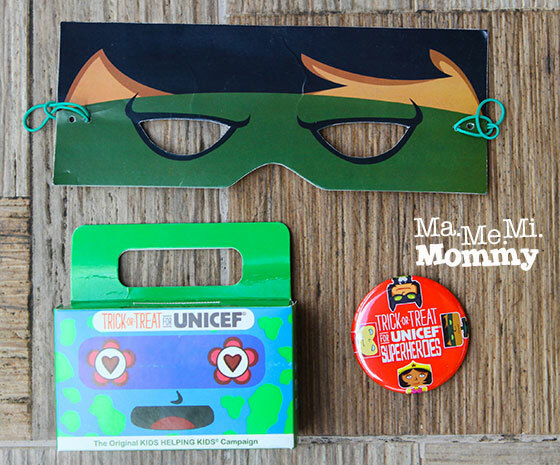 I love the UNICEF masks! It’s another way of teaching kids that you need not to offer your life to become a hero. 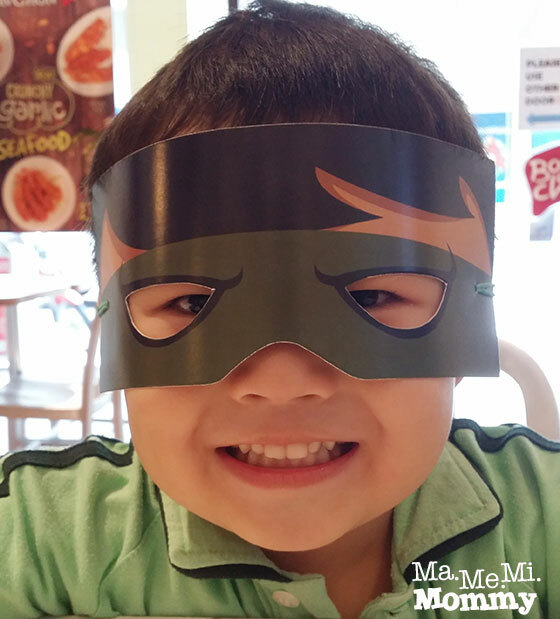 There are simple ways that even kids can do to become that superhero they adore and look up to. Ang cute! I will definitely check this out!